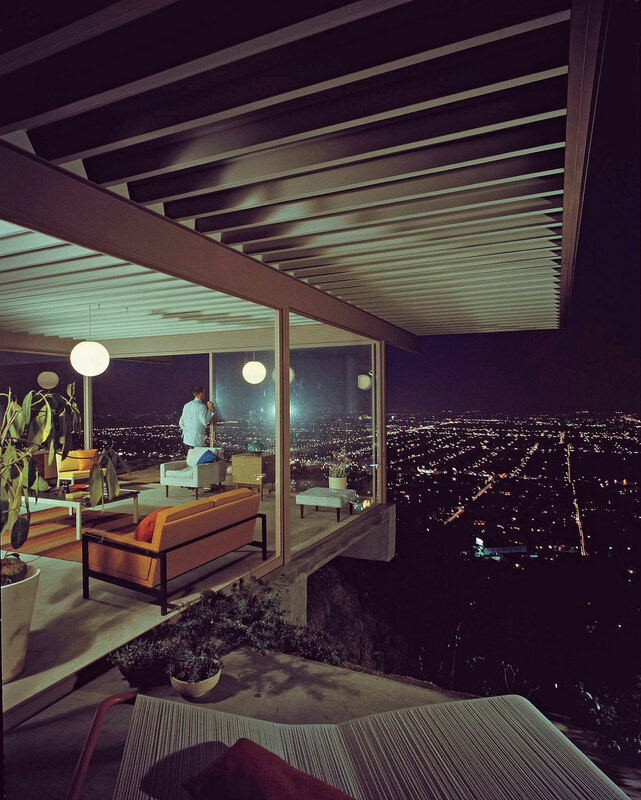 Stahl House, Los Angeles CA, USA (1957) by Pierre Koenig, photography by Julius Shulman (J. Paul Getty Trust, Getty Research Institute, Los Angeles), from Inside Utopia, © Gestalten 2017. While modernism in architecture and design is an umbrella term that embraces a wide range of aesthetic sensibilities, at its core lies a momentum to break with the past and usher in the future. It is this essential raison d'être of modernism, a deep-seated utopian desire to design today what tomorrow will look like, or more precisely, what it should look like, that Gestalten's new book, Inside Utopia, attempts to illustrate. Showcasing the interiors of some truly iconic houses, some of which were not accessible until now, and spanning over three decades, 13 countries and four continents, the book provides a comprehensive overview of the radical mid-century ideas and trends that still inform and inspire our contemporary visions of modernity. Architects and designers have always been at the forefront of innovation where our daily lives are concerned and the 20th century proved to be fertile ground for radical changes brought about by the advent of the industrial age. Central to this upheaval was the modernist movement. Rooted in the avant-garde ideology of such interwar luminaries as Walter Gropius, Le Corbusier and Frank Lloyd Wright, modernism truly flourished after WWII as the world was rebuilding, morphing into different styles and adopting several incarnations. Eames House, Pacific Palisades CA, USA (1949) by Charles & Ray Eames, photography by Julius Shulman (J. Paul Getty Trust, Getty Research Institute, Los Angeles), from Inside Utopia, © Gestalten 2017. The book groups the multifaceted output of post-war modernism into four distinct sections, foremost of which is the high modernism of the 1950s that embodied the core aspects of the International Style and rational modernism: clean geometric forms, floor-to-ceiling glazing, open-plan spaces and an emphasis on construction materials. 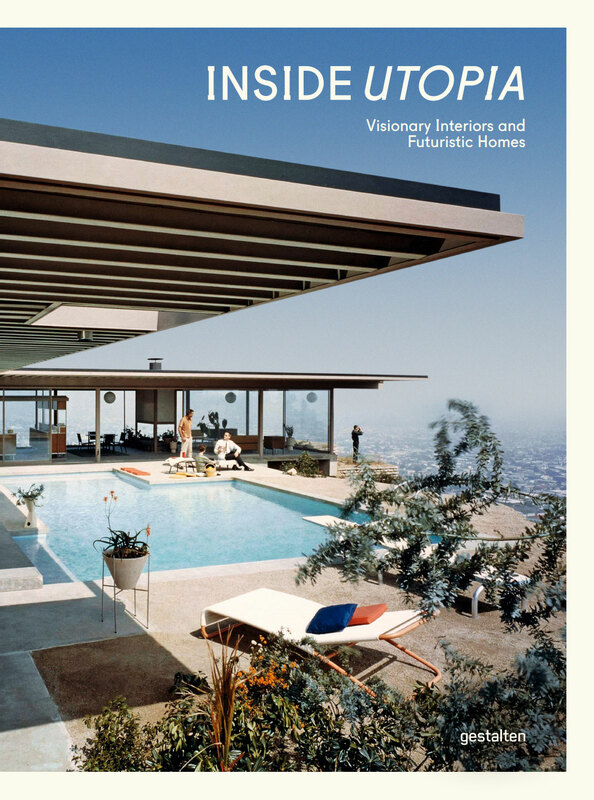 This aesthetic was particularly prevalent in California where the climate proved ideal for such an extroverted architectural language and the book provides ample examples such as Charles and Ray Eames’ Eames House in Pacific Palisades, Albert Frey’s Frey House II in Palm Springs, and above all, the glass and steel Stahl House, Pierre Koenig’s L-shaped, pavilion-like residence on the Hollywood hills. Providing its occupants with sweeping views of the Los Angeles sprawl and blurring the boundaries between the interior open-plan spaces and the exterior pool patio, its aspirational design embodied the American dream. 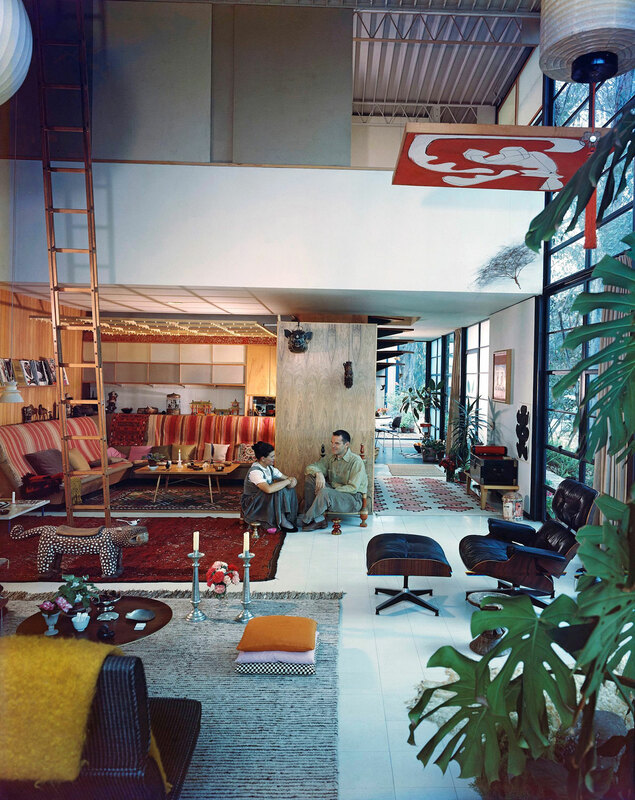 The second section presents the work of flamboyant interior designers as an alternative to the minimalism of the modernist architects. With a wide range of designs, from George Nelson’s and Charles Eames’ industrial produced goods to Vladimir Kegan’s and François Xavier’s furniture as works of art, the output of these designers was both a response and a reaction to an increasingly industrialized world. Inspired by the decorative language of modern Art Deco, the rich forms of baroque and Art Nouveau, or the austerity of neoclassicism, and buoyed by their own artistic temperament, designers on both sides of the Atlantic, such as Italian designers Carlo Mollino and Piero Fornasetti, and American set designer Tony Duquette, created eclectic interiors that merged the rich heritage of the past with the modernist sensibility of their time, thus foreshadowing the rise of post-modernism. Inside Utopia Book Cover, © Gestalten 2017. 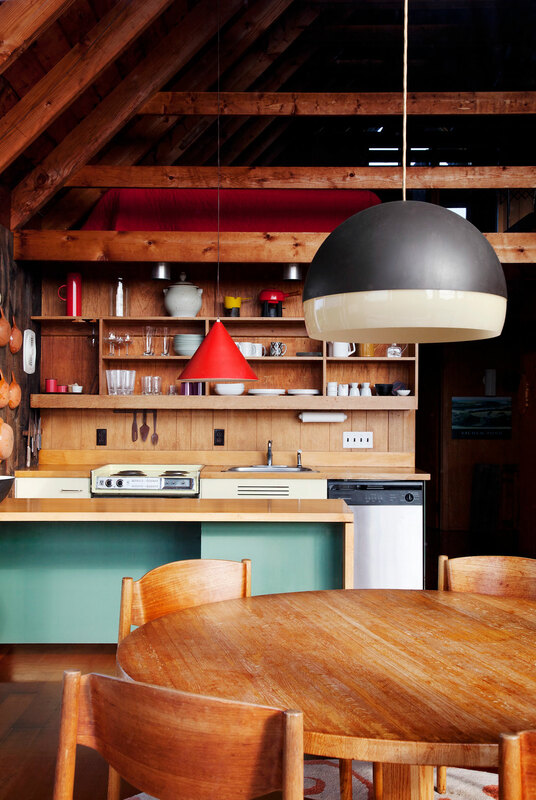 Block Island Retreat, Block Island RI, USA (1965) by Jens Riso, photography by Floto + Warner/OTTO, from Inside Utopia, © Gestalten 2017. Ford House, Aurora, IL, USA by Bruce Goff (1949) from Inside Utopia, © Gestalten 2017. Schneidman House, Los Angeles CA, USA (1948) by Quincy Jones, photography by Undine Pröhl, from Inside Utopia, © Gestalten 2017. Organic architecture may not come to mind when we think of modernism, but as the book’s third section reveals it was spearheaded by the utopian visions that modernism championed. 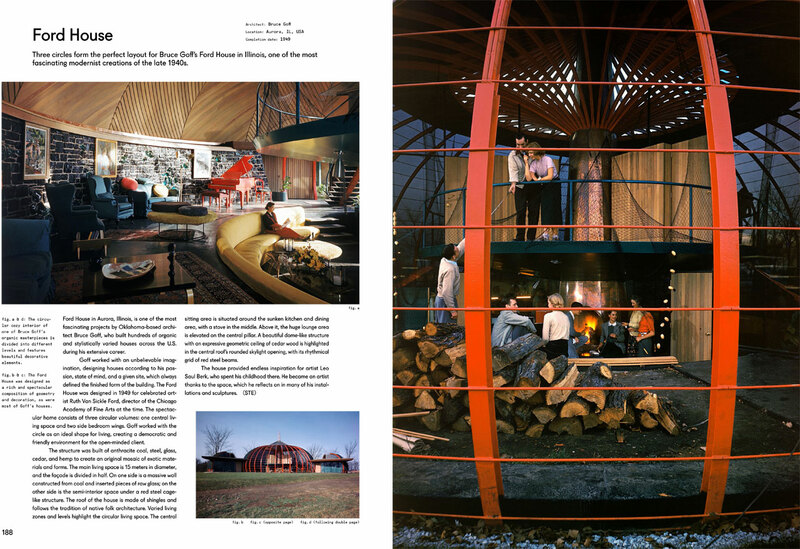 Frank Lloyd Wright and Frank Lautner had already ushered organic architecture into the mainstream by the 1950s, but it was visionaries like Oklahoma-based Bruce Groff who created truly unconventional living spaces of pure imagination. 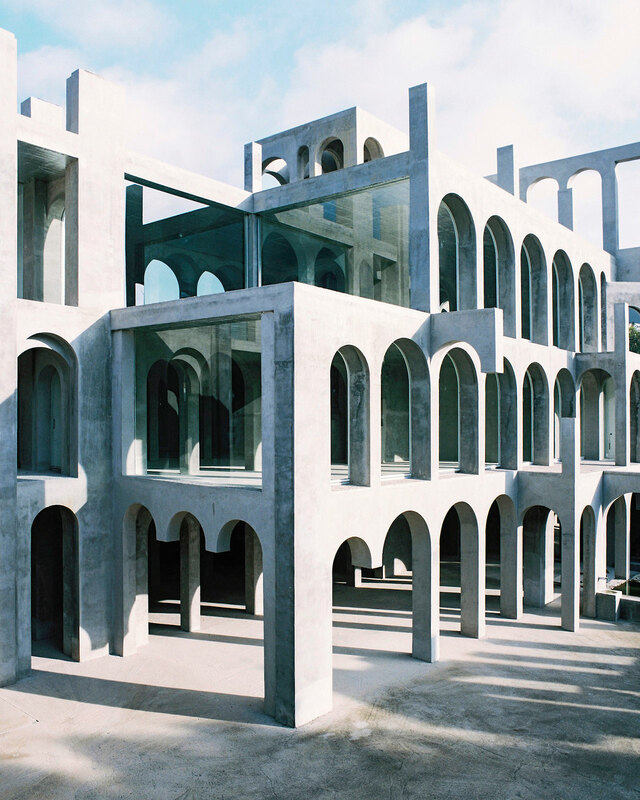 Bold experimentation was also exhibited by space-age designers like Ettore Sottsass and Vener Panton as well as architects like Claude Hausermann-Costy and Eduardo Longo whose organic use of concrete begot cavernous interiors of sculptural beauty. 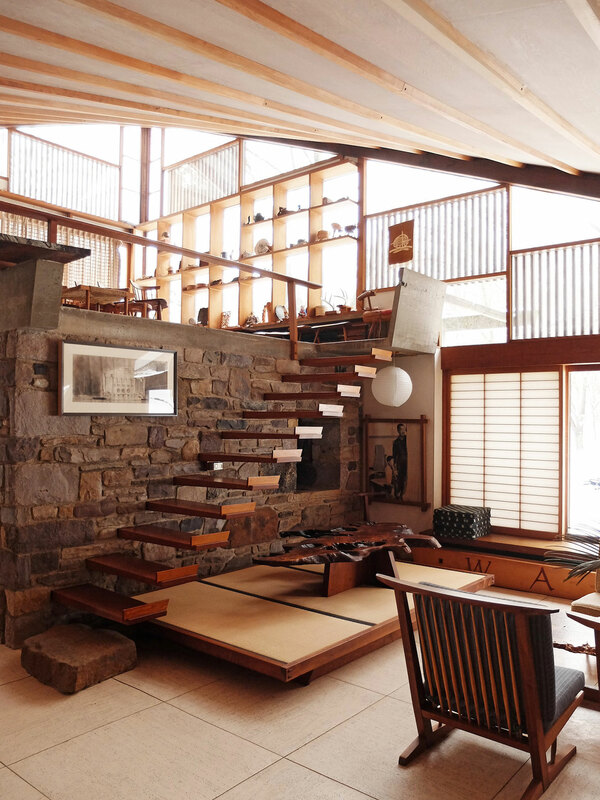 Nakashima House, New Hope PA, USA (1954-75) by Georges Nakashima, photography by Adam Štěch, from Inside Utopia, © Gestalten 2017. 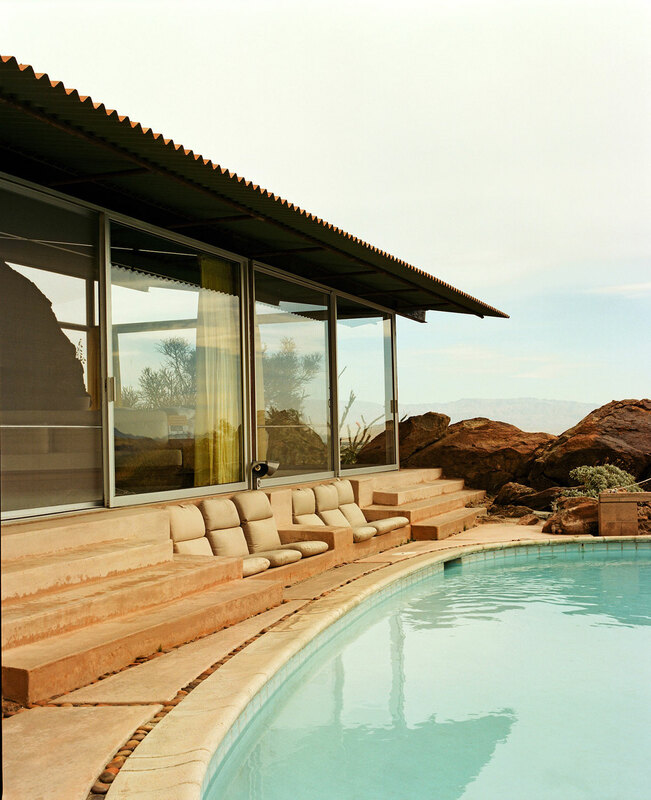 Frey House II, Palm Springs CA, USA (1948) by Albert Frey, photography by Leslie Williamson, from Inside Utopia, © Gestalten 2017. La Ricarda, Catalonia, Spain (1963) by Antoni Bonet i Castellana, photography by Salva Lopez, from Inside Utopia, © Gestalten 2017. Clemmensen House, Gentofte , Denmark (1953) by Clemmensen Karen & Ebbe, photography by Mark Syke/Realdania By & Byg, from Inside Utopia, © Gestalten 2017. Villa Sayer, Deauville , France (1972-74) by Marcel Breuer, photography by Alexandre Guirkinger, from Inside Utopia, © Gestalten 2017. Leme House, São Paulo, Brazil (1970) by Paulo Mendes da Rocha, photography by Leonardo Finotti, from Inside Utopia, © Gestalten 2017. Jaretti House, Turin, Italy (1963-66) by Sergio Jaretti, photography by Filip Šlapal for Dolce Vita, from Inside Utopia, © Gestalten 2017. 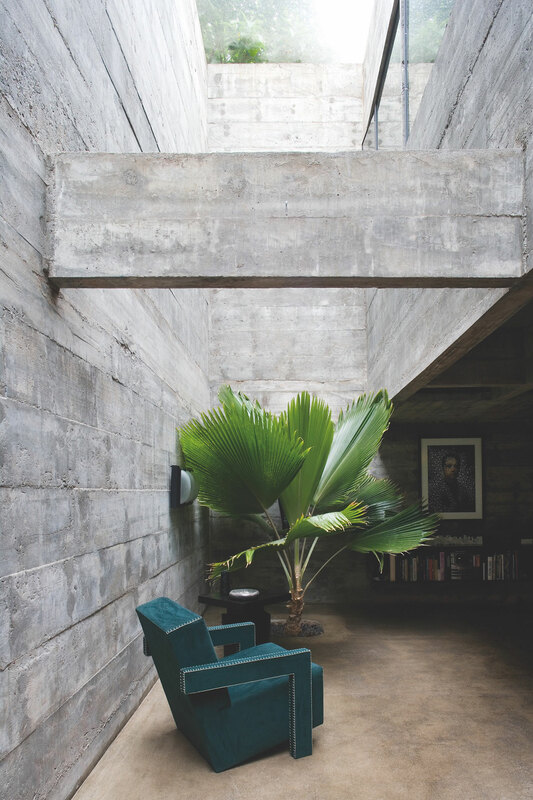 The exposed concrete shell of Longo's Casa Gupa in Guaruja, Brazil, is a precursor to the last section of Inside Utopia, which provides an overview of brutalist residential architecture. Flourishing from the 1950s to the 1970’s, brutalism - its name a reference to the use of raw concrete, béton brut, rather than the rough aesthetic it has been associated with - was extensively used to build public buildings when in the 1960s, groups of experimental architects in Europe started to apply its language to domestic settings, such as Hans Demarmel’s Rebberg House in Zurich, Switzerland, whose modular combination of strong geometric shapes created dynamic interiors that flow both horizontally and vertically. 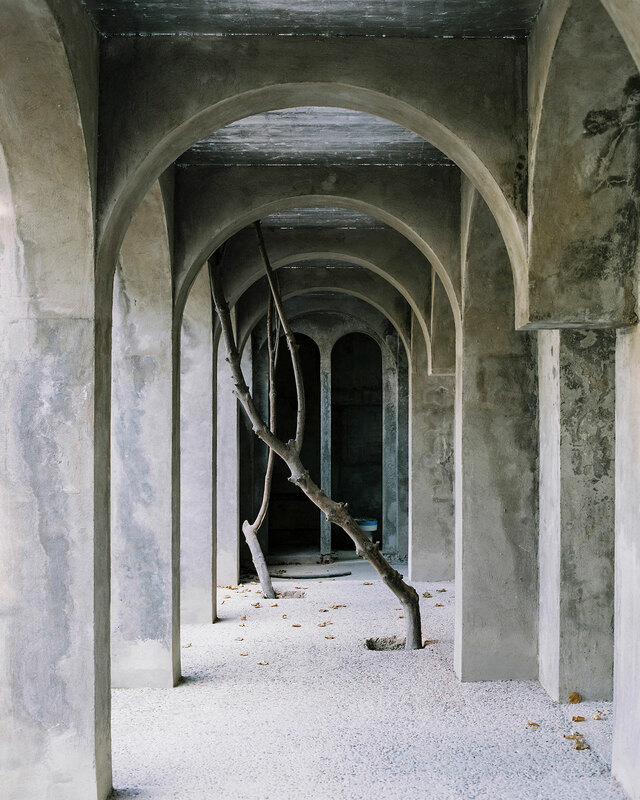 Due to concrete’s cooling properties, brutalism also found a footing in tropical climates like Sao Paulo, Brazil, where architects such as Eduardo Longo and Paolo Mendes de Rocha designed bunker-like residences like the latter’s Leme House, the epitome of domestic monumentality where the brutality of the exposed concrete is juxtaposed with a refined collection of modernist furniture and art. Casa do Mar Casado, Guarujá, Brasil (1964) by Eduardo Longo, photography by Leonardo Finotti, from Inside Utopia, © Gestalten 2017. Leme House, São Paulo, USA (1970) by Paulo Mendes da Rocha, photography by Leonardo Finotti, from Inside Utopia, © Gestalten 2017. 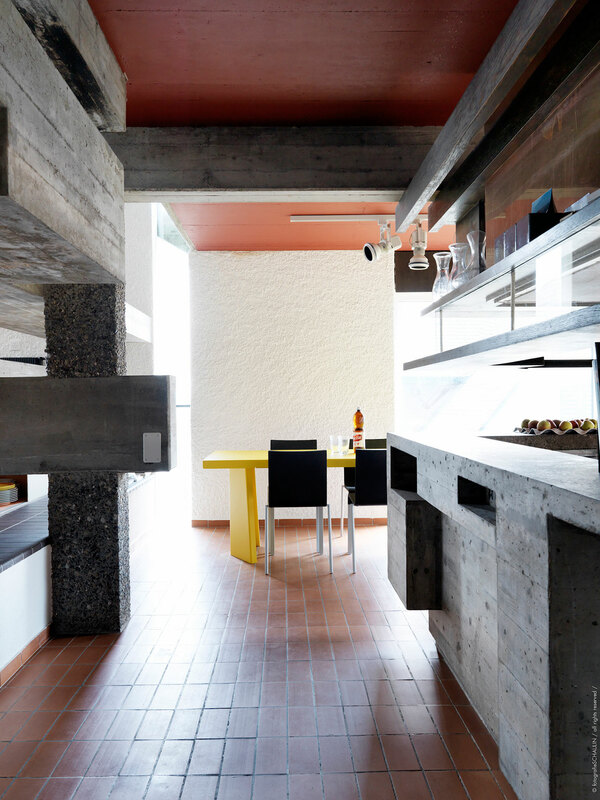 ​Rebberg House, Zürich, Switzerland (1965) by Hans Demarmel, photography by Christian Schaulin, fotografieSCHAULIN, from Inside Utopia, © Gestalten 2017. 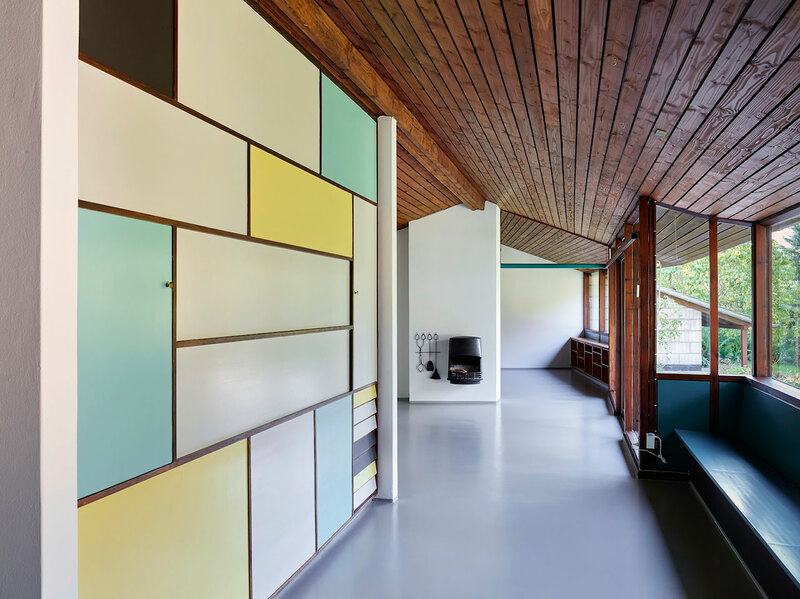 Rebberg House, Zürich, Switzerland (1965) by Hans Demarmel, photography by Christian Schaulin, fotografieSCHAULIN, from Inside Utopia, © Gestalten 2017. 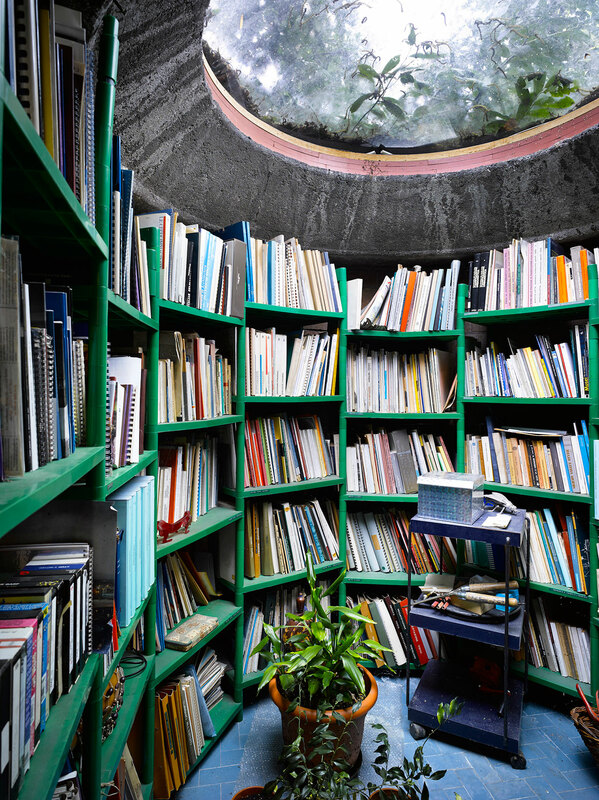 Gestlaten's new book Inside Utopia, concludes with the iconic Labyrinth Home in Barcelona, Spain, architect and artist Xavier Corbero’s 5,000 square metre estate of concrete, glass and wood. Built around a hexagonal six-storey atrium, most of it underground, the maze-like building is an ongoing development of half a century and an apt metaphor for modernism's deep-rooted, multifaceted legacy. 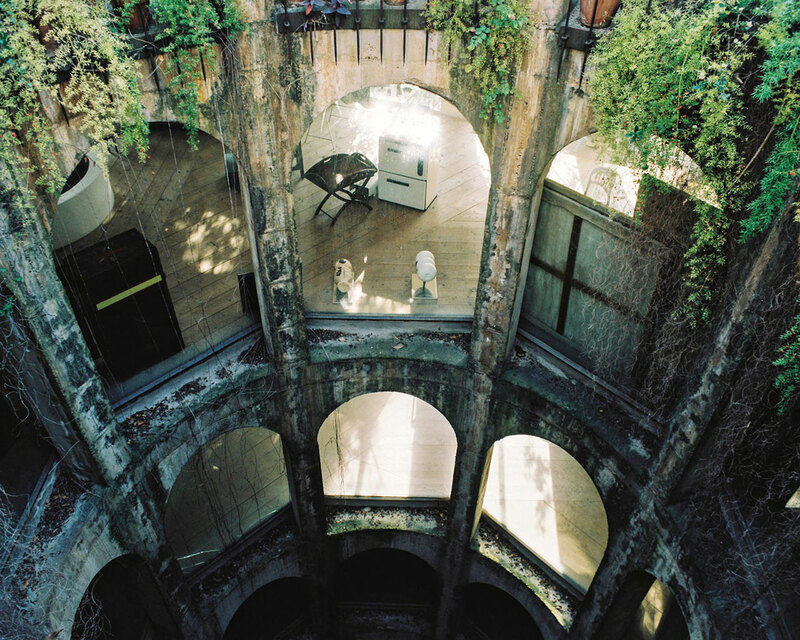 The Labyrinth Home, Barcelona, Spain (1969) by Xavier Corbero, photography by Salva López, from Inside Utopia, © Gestalten 2017.